Today we spent the day tying up all the lose ends on the rough in electrical. We are basically done. 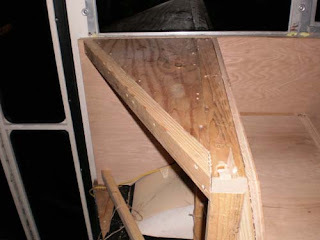 We also built a wall that sits behind the dinette seat closest to the front of the bus. We will probably put some kind of a cabinet here. Here is a pic of the breaker box. 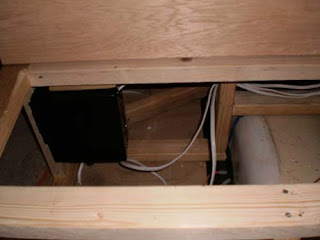 This breaker box contains to 20 amp breakers. One for the A/C the other for the refrigerator and the hot water heater. 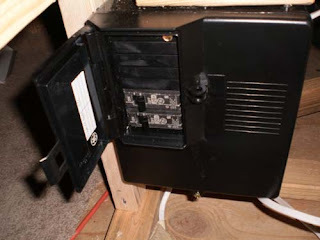 There are also 2 - 20 amp breakers located in the inverter. 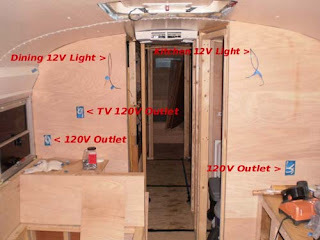 We will direct wire to the inverter for all inverted power. 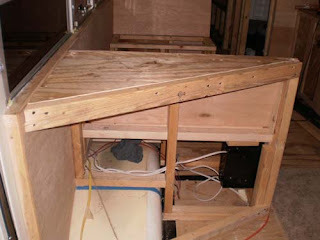 I will still need to run the 50 amp service cord and plug that will attache to the outside of the bus.